Before starting up, let me tell you that this guide is a treat for all the gamers out there! 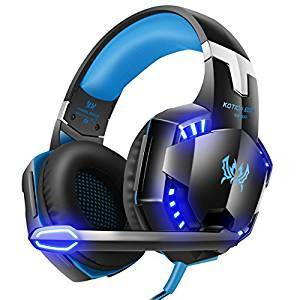 Here, we will be unwinding the significance of sound communication while playing video games, and will also suggest you a few models to try out. 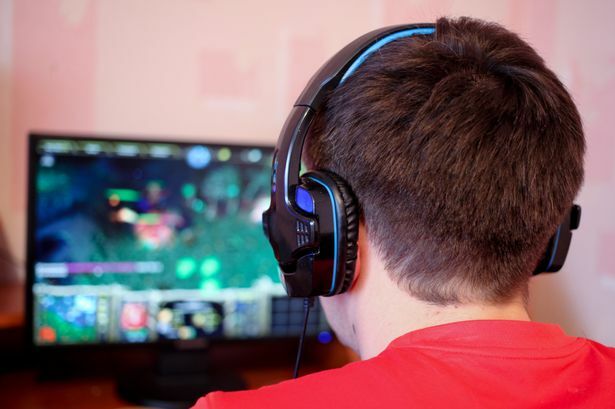 It is a fact that, audio is equally important for gaming as visual is. However, people usually overlook it. Although, you can also enjoy playing a gaming with volume on, but it may disturb the ambiance because we all know that gaming sounds are mostly loud and harsh. In this type of situation, a good headset can be a great buy! How? These were just the few features, and the list goes on. The good news is that, now it is easier for you to get your hands on an efficient and high-quality gaming headset without breaking your bank. Yes, that’s true. Here are top 5 recommendations from us that come under the category of below $100. Have a look, and strengthen your purchasing decision. We use four out of our five senses when it comes to gaming, and the general experience is a mixture of what we sense. Clearly, the sense of hearing cannot be set apart in gaming. After all, it is amusing to listen to the explosions, and all the action in a game. Additionally, it is important to have a clear communication with fellow teammates in a game. Don’t you think? Fortunately, Logitech’s G430 surround-sound headset can serve you right in this situation. This model ensures a great hearing experience and quality, which is almost same as other costly headsets available in the market. That’s not all! This amazing gadget by Logitech has a lot more to offer. Keep reading to find out! It is safe to mention that if G430 is to rely on looks alone; this set is a winner right out of the box. Vibrant and attractive blue trim, ear cups and cable sleeve; every feature seems to add to its beauty. The headset itself flaunts powerful 40 mm neodymium drivers for better voice quality. Moreover, its ear cups are covered with breathable sport-cloth pad to ensure the comfort of users’ ears during marathon gaming sessions (or film-watching / music-listening). This model also consists of a boom mic fixed at the left speaker, which can rotate up, down, and is bendable; this means that you can fine-tune its positioning for overall an optimal performance. Not just this, but the mic itself has noise-cancelling properties, and can be muted completely through a sliding switch present on the inline control box. Quality is one major problem with headsets these days, and we are happy to say that the quality of the G430 is tremendous! Despite the fact that the gadget is light-weight and is composed of plastic material; its construction is quite sturdy. In fact, there aren’t any lose elements that would vibrate and distort the output even at maximum volume. Another not-worthy thing about G430 is that, it can cope with amplification really well. All in all, the frequency response as well as dynamic range of this model are fantastic. G430 ear pads are covered with sports-performance fabric for a soft-touch comfort, even after hours of use. As a result, you can stay focused on the game instead of your headset. 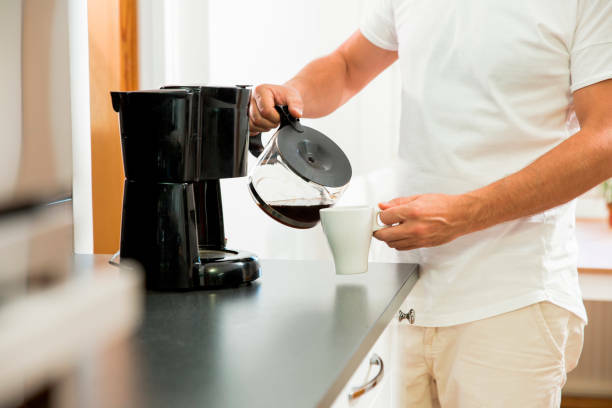 Plus, users can also slip off the cloth cover to wash, and preserve the device in the top form. Basically, G430 ear cups are designed to be slimmer and lighter, without skimping on the audio quality. Try out yourself! Logitech G430 offers immersive 360-degree Dolby 7.1 surround sound that lets you enjoy the sound like never before. It works with any device having a 3.5mm jack. 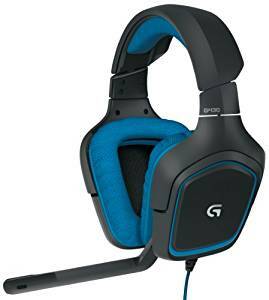 Logitech G430 headset is extremely comfortable and offers 90-degree swivel for personalised fit. The real fun of playing video games is with the sound on. Isn’t it? However, sometimes it became hard for the gamer to enjoy the moment fully because it may disturb the surrounding people. Especially, when you are at home with your family/kids. Don’t worry, the solution of your problem lies in Version Tech G2000 Stereo Gaming Headset. This gadget is easy to use, efficient in performance, comfortable to ears, and above all, it is an affordable option. Not convinced yet? Mentioned below are some of its features that can help you in making a final buying decision. Version Tech G2000 comes equipped with skin-friendly leatherette ear pieces. It boasts of an adjustable headband which is appropriate for all head shapes. Moreover, this accessory features a microphone with swivel-to-mute noise cancellation property. Plus, this microphone is flexible, and can be adjusted in a desired position. LED lights are also there that lighten up when the USB is plugged in. The G2000 Stereo Gaming Headset is known to have a good sound system for gamers. How? Because it offers a clearer and stronger sound, all thanks to the 50mm magnetic drive present in it. The headphone also features built-in noise reduction capabilities to make sure that any noise outside of the headphone is minimized. This noise reduction technology is used in the microphone as well, which helps you to communicate clearly with the other people online. This level of clarity for both, hearing and speaking, is great as compare to those headpieces that do not come with the noise cancellation technology. This product is available with 45 days money back, and 1-year manufacturer warranty. The model is designed to offer maximum comfort to the users so that they can wear it for a prolonged period of time. It has a synthetic climate-based ear cushion that not only absorbs sound and prevents it from leaving the headphone, but also provides you with complete and overall comfort throughout the gaming session. Also, its headband is retractable so it can be adjusted to a variety of head shapes, making it a perfect accessory for gamers of any age group. The overall construction of both, headset and microphone, is also extremely strong, and resistant to damage caused by squeezing, falling or even tough twisting. What else do you need? With its sleek design, VersionTech G2000 Stereo Gaming Headset is an awesome choice for people looking for cheap gaming headsets. It offers universal compatibility, led lights, mic and crystal clear sound quality. Are you an obsessive gamer? Do you feel like the real fun of gaming is with the sound on? If the answer is yes, then this Corsair Void headset is all you need in your life! It is an amazing gadget that can work really well with multiple devices. It is lightweight, durable, efficient, versatile, user-friendly, comfortable and what not. The top most reason of its popularity is the low price, which is affordable for a majority. However, the low cost of this headphone has nothing to do with its high-quality and exceptional performance. Get to know more interesting features of this product by reading below. This headset by CORSAIR comes equipped with breathable mesh and memory foam ear pads that prevent heat buildup, and reduce moisture inside the ear when the headset is on. This wireless freedom gadget has LED mute indicator, which helps in reducing the ambient noise to ensure an enhanced sound factor. High-quality material is used in its construction to make this headset a durable investment that can last you for a longer period. The microphone piece of this model is made out of rubber. Therefore, it is easily bendable, and allows you to adjust it according to the way you like to use. The battery runs for about 16 hours, giving you enough time to complete several games, throughout the day without pausing them in the middle! This gadget features CUE (Corsair Utility Engine) software that provides full control over the headset with the aid of an easy-to-use interface and intuitive. It also enables you to sync with several Corsair RGB devices. As far as comfort of the product is concerned, it entails breathable and foamy ear pads that allow you to use the headset for long hours. Weighing only 13.8 ounces, Corsair Void Pro is fairly light to be used all day without feeling like a burden is placed on your head. Plus, its microphone is flexible enough so there is no chance of hitting any pressure points on your head resulting in a massive headache! Built with microfiber mesh fabric and memory foam, Corsair VOID gaming headset is a perfect headphone that offers genuine dolby 7.1 surround sound with immersive multi-channel audio. It also reduces ambient noise thus offering enhanced voice quality. Searching out for the great accessory that is compatible with PC? Are you an online gamer who is in dire need of a perfect headset? Well, your prayers have been answered in the form of HyperX Cloud Stinger Gaming Headset for PC. This model is especially made to provide you the best gaming experience by ensuring crystal-clear sound and reducing external noise. This product has a lot more to offer you. Find out below. HyperX Cloud Stinger™ is the perfect headset for game enthusiasts who are looking for a lightweight, comfortable, advanced-sound quality and inexpensive option. Its ear cups can rotate in a 90-degree angle so that users can adjust them as per their comfort. For clear sound and precised audio; 50mm directional drivers are fitted parallel into the device for sourcing direct sound into the ears. Moreover, it also features HyperX signature memory foam for more comfort and convenience. The HyperX Cloud Stinger comes equipped with an adjustable steel slider for an increased durability. An intuitive volume control is also present on the headset. All thanks to its multipurpose compatibility; it lets you connect it with either PC, laptop, smartphone and even smart TV. The device is quite easy to use, and enable the user to enjoy an enhanced audio experience with maximum comfort in an affordable price. Yes, you read it right! Despite of all these amazing features; this model won’t cost you an arm and a leg. The comfort level of Cloud Stinger is up to the mark. Its ear cups are big and spacious enough for the ears, and the padding on both, the headband and the ear cups, is great as well. In addition, the model is quite light in weight so you will not feel like a big, fat octopus is surrounding your head and weighing your neck down. In short, it is a blessing for all the gamers out there! 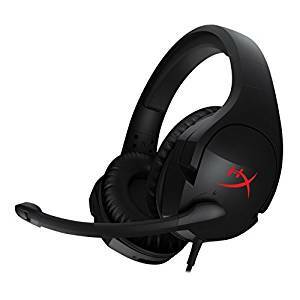 HyperX cloud stinger is a lightweight gaming headset that offers sleek design and extreme audio precision.The ear cups has memory foam thus making it comfortable for longer period of time. It has a microphone and it is compatible with multiple devices. Apart from better visuals and even better resolutions; audio is also an important part of gaming. What do you say gamers? For this purpose, you will be needing a headset that is versatile and efficient. Why looking around when the Razer Kraken Pro V2 Analog Gaming Headset is at your service? This device is versatile because it is compatible with several devices, including PC, Play Station 4 and Xbox One. From efficiency to durability; this remarkable product will not disappoint you in any way. Don’t believe it? Read out yourself. The Kraken is provided with 50-mm drivers for an excellent and clear sound experience. It has an aluminum unibody construction that ensures an increased durability and longevity. Weighing only 12 ounces, the new and improved Razer Pro V2 is both, light-weight and highly flexible. So, now you get more sturdiness without compromising on the comfort level. Razer Kraken Pro V2 promises exceptional listening experience by offering a bunch of user-friendly specs. It features interchangeable ear cushions that are available in several shapes so that you can personalize the comfort level as per your need or nature of the game. Besides, the earpieces of this model are wide and easy to fit. In fact, people with glasses can also wear it comfortably. Plus, its lightweight is another plus point. Why don’t you buy it yourself to get benefited? Available in 2 designs, Razer Kraken Pro V2 headset is just the headphone you are looking for. it has retractable microphone and it provides richer audio than ever before. You can hear the highs and low clearly that will make your gaming experience more rich. It is our personnel favourite when it comes to gaming headphones. If you are someone who is perplexed about spending a fortune on gaming headset, then these above-mentioned models are just designed for you! They are not only efficient, sturdy and durable, but also ranges under $100. These gadgets work really well by reducing the environment noise and enhancing the game sounds, enabling you to concentrate fully on the game and secure your win. So, have you decided which model you are going to buy?